My close friend Scott Hackman keeps a blog that I think you should check out. His blog is unique: most of it is comprised of prayers and poems. Many of you have asked me why I have a personal blog, but the resonate community - which is built around the philosophy of relational connectivity and living life together - does not. It's been a good question. We finally have the official/unofficial resonate blog up and running. It's still in it's initial stages, but the skeletal structure is in place. It'll include important information, allow opportunities for further interaction, a chance to network, a chance to voice your opinion and discuss. Check it out here. Bookmark it and place it in your favorites. Check back on the resonate blog every couple of days. As you can see, the blog has a new design look. Somebody from church asked me why I decided to change the look of the blog [they liked the old white, yellow and red design look better]. Any good book or music recommendations you've been enjoying lately? Let me know - leave a comment. If you know me enough, you know that I am not the biggest Christian music fan in the whole world. The Christian artists that I do enjoy are those who are critical thinkers, who can articulate their faith in conversation and in teaching, not just up front with a guitar and a smoke machine - those who desire to proclaim (sing?) to the world that Christ is King, not try to market themselves or create a subculture out of it. I did notice a few Christian musicians/artists that I respect (more for their ability to articulate their faith and convictions than how they sing...though they ain't bad musically) are blogging these days. Check out Shaun Groves' blog here. And Mark Lee's (Third Day) blog here. 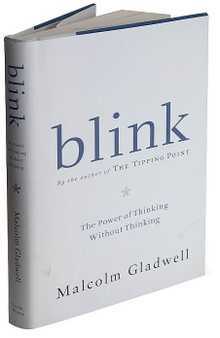 For those of you who loved reading the books Blink and The Tipping Point check out Malcolm Gladwell's blog here. I love the way this guy thinks. Over the past several weeks people have asked me why I chose to name my blog "Broken Stained Glass." So, I thought since its been a year and a half since I last blogged about it I should let you all in on the story. "[Megan] and I just returned to the United States after leading a short-term mission team from our church community to South Africa and Mozambique. While in Mozambique, we were in a town in the mountains called Manica. One of the most striking images of the entire trip was a building I visited probably half a dozen times throughout the week. 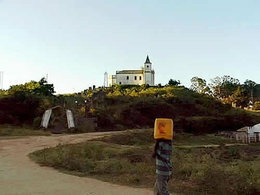 At one of the highest points of Manica, sits an old, abandoned, run-down Catholic church building...As you ascend the 100-plus steps to reach the church building, there are twelve small shelters...the stations of the cross... It is impossible to miss seeing this building. "At one time, I would imagine, the building was magnificently beautiful with towering cupalas, beautiful stained glass windows and carefully carved pews. However, now the exterior white paint is peeling, the weeds are growing high from neglect and the interior is dirty and empty. Stray dogs have used the corners as a bathroom. Pieces of the stained glass windows are broken and lying on the floor. The building was forgotten. I was struck by how the building is both beautiful and broken, even now. It's brokenness adds to its beauty and its beauty adds to his brokenness. It was magnetic. Many mornings I would rise early and make the fifteen minute walk through town to pray, journal and be quiet in reflection. It was attractive, magnetic, sacred. "I spent a large amount of time reflecting on why this place was so magnetic to me. I realized that this building was a physical representation of my spiritual calling: I am to be both broken and beautiful. A city on a hill for all the world to see, but not that I may be glorified, but that Christ may be glorified through me. I picked up several pieces of stained glass and began to pray. I am called to be a piece of broken stained glass. I have been created so that beauty is only realized when God works through me, just as stained glass windows are only beautiful when light penetrates through them. Yet my life is filled with brokenness, due to my sin nature... Two shards of glass from the church building in Manica - one blue and one green - sit on my desk as a reminder. This image has stuck for me. It is the metaphor for which I live out my calling. 'Consequently you are no longer foreigners or aliens, but fellow citizens with God's people and members of God's household, built on the foundation of the apostles and prophets, with Christ Jesus himself as the chief cornerstone. In him the whole building is joined together and rises to become a holy temple in the Lord. And in him you too are being built together to be come a dwelling place in which God lives by his Spirit (Eph 2:19-22)." Now, you can probably guess why I named my blog Broken Stained Glass. " NEWS FLASH: Andrew Jones has BSG on his permanent blogroll on his blog. (Andrew's blog is one of the best and most visited blogs in the blogosphere...no joke).